१. Define federal democratic republican state. २. What should be done to complete ongoing projects of Nepal in pre-determined time frame? Write your views in two points. ३. How does universal brotherhood play a significant role to set up peace in the world? Express in a sentence. ४. Mention any two works of International Nepal Fellowship carrying out in Nepal. ५. Write any one difference between armed revolution and mass movement. ६. What can be the two ways to utilize the water resources available in your local level? Write. ७. What is meant by atomic power? ८. Why is it essential to improve the condition of human resource development in Nepal? Give reasons. ९. Write in short about the local plan formulation process. १०. What role have you played to conserve local musical instruments and folk dance in your area? Write down. ११. "Dowry taking and giving are social crimes". Justify it with your four logics. १२. Clarify the fact that judiciary should be free and fair with a dialogue between two friends. १३. Present the following data in a Pie-chart. १४. Present two features each of climate and vegetation found in the equatorial region. १५. Present the major political and historical events from 2046 Bs to the date in a timeline. १६. What suggestions woud you give to a guarding going to buy goods in market? Mention in four points. 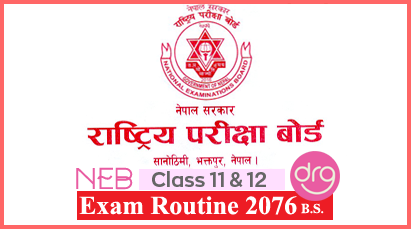 १७. Present four strengths of globalization. १८. There is constitutional provision of rejection of vote (NOTA) in some of the countries in world. Prepare an article including the positive and negative aspects of this system. १९. Draw a full page map of Nepal and insert the following facts in it. २०. "No Power or nation remains permanent enemy or friend in politics". Prove this believes by stating the events and description of first and Second World War. २१. Define insurance and differentiate between life and non-life insurance in five points. 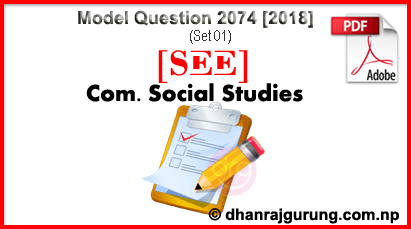 0 Response to "Social Studies Model Question | 2074/2018 | SET 01 | SEE"